Is your hair giving you trouble? 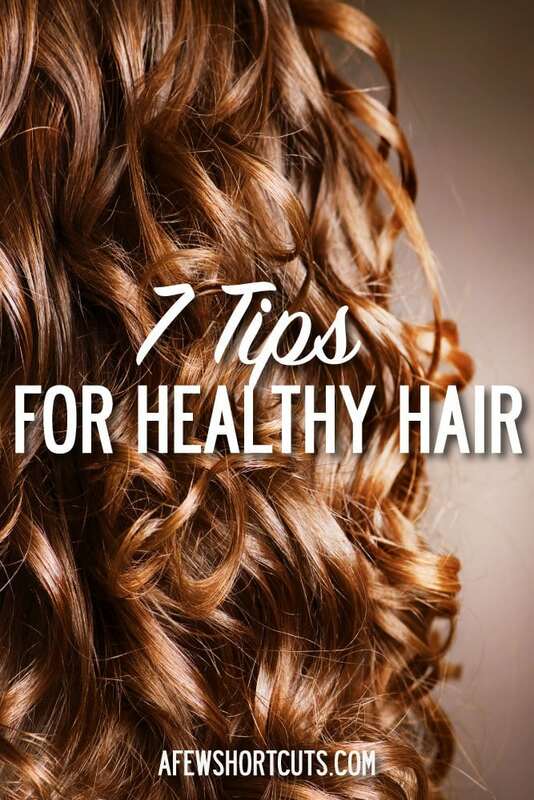 Check out these 7 Simple Tips for Healthy Hair that will have everyone envying your beautifuly locks. Hair can really make or break your efforts for a youthful look. Between coloring, cutting, curling, drying and all of the other abuse that women put their hair through, it is important to have habits to keep hair healthy as well. Having shiny and healthy hair can be attainable with these tips. There is a misconception that the more frequently you wash your hair, the healthier it will be. The truth is that shampoos and soaps strip your hair of it’s natural oils. For obvious hygiene reasons, washing your hair is a good thing, but try to “train” your hair to go longer between washing. Consider picking two days each week such as Thursday and Sunday as your hair washing days and use the next step to maintain a clean look in between. Dry shampoo is an incredible product! It will come in handy to use as you are training your hair to require less frequent washing and is good to use even if you are already accustomed to once or twice weekly shampoos. You can use dry shampoo right after your hair is dry and clean to prevent oily roots. Or use it once your roots are looking a bit oily to give it a clean look with good volume. Simply spray the product directly on the roots of your hair and brush through. Just like dry shampoo adds volume and a look of freshly washed hair, a teasing comb is a great tool to have for the same reasons. It is a great tool to comb the dry shampoo through your hair and to give your roots a bit of a tease for added volume. Youthful and healthy hair is full and doesn’t lay flat to your scalp, and this tool can help you achieve that look. It doesn’t require hours in front of a mirror to create a good hairstyle. There are so many great and effortless looks that are fast and simple to pull off. Just do a Pinterest search and you will find a wealth of ideas of ways to style all types of hair. Even a small twist in a standard ponytail can add a touch of chic to a basic and simple look. Even if you are trying to grow your hair longer, it is good to have your ends trimmed every 3-6 months. When you have the dry and dead ends trimmed off, it can help your hair to send nourishment to the healthy parts of your hair which will help your hair look healthier and actually grow faster. Establishing good hair habits is a great way to maintain healthy and low maintenance hair. A few tips to remember are to try to avoid going to sleep with wet hair. Wet hair is more susceptible to breakage and damage. Also, give your hair a break from tight hair ties occasionally to prevent breakage. You could opt instead for the more loose fitting crease-less hair ties that are available now. Even those with more oily hair can benefit from conditioners. You could try leave-in conditioners, those you simply rinse out in the shower or a more natural approach such as coconut oil. Conditioning your hair with good products is a great way to maintain strong, shiny and youthful locks.